Alfonso Cuaron has been having a solid month, and we’re only a week deep. First off, his latest film, the space adventure Gravity, walk away with a ton of new hardware at the Academy Awards last Sunday, including an Oscar for best director. 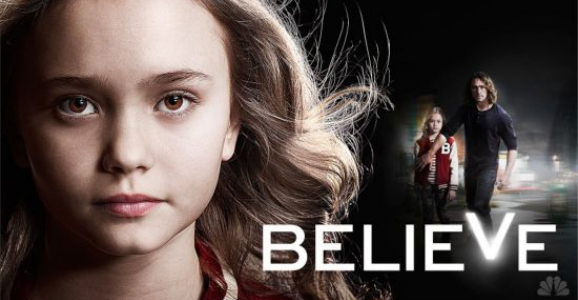 Eight days later, on Monday, March 10, his highly-anticipated new show, Believe, which he co-created and is producing with J.J. Abrams, will finally hit the airwaves in NBC after lengthy delays. We’ve been watching this one closely, and now you can check out the first two-minutes of the premiere episode. In addition to creating and producing, Cuaron also co-wrote and directed the pilot. After watching this video that last part becomes rather obvious, the Mexican-born director’s fingerprints are all over this visually. The clip is a single shot, or at least made to look like one. This kind of long take and continual action has been a hallmark of Cuaron’s work since the beginning, and set almost entirely in a car as it is, you can’t help but be reminded of a similar exercise in his 2006 film Children of Men. The young girl you see in this clip is named Bo (Johnny Sequoia). As you probably guessed because people are willing to murder each other in order to get their hands on her, she’s not your typical little girl. No, she has powers, and though they’re just in their developing stages, by the time she fully realizes them, which will happen in seven year’s time, she will play a huge role in shaping the future of the world. Now two different factions show a definite interest in Bo. One, as you see here, is bad, and will probably use her abilities for all sorts of evil, nefarious deeds. Believe has already had its share of problems, and we haven’t even seen the first episode yet. They’ve lost multiple showrunners, including co-creator Mark Friedman, and one of their writers, Ned Vizzini, committed suicide at the end of last year. The show debuts this coming Monday, but after that will settle into a regular Sunday night slot. Given the size and quality of established series it’ll go up against—think The Walking Dead, Game of Thrones, Mad Men, among others—that decision may come back to haunt Believe, but we’ll have to wait and see.